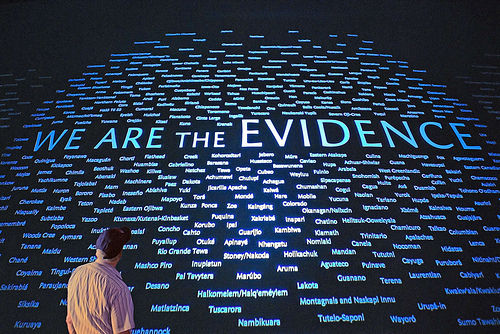 Reformation Missions: WHO ARE YOU TESTIFYING ABOUT? So what am I trying to get at here? Christian testimonies are suppose to be about Jesus. They are proclamations that Jesus is God, Lord of all creation. He died on the cross bearing our sins. He rose from the dead, overcoming the world, defeating both Satan and death. He is the King of kings and Lord of lords. The apostles saw Jesus in His resurrection body and worshiped Him. This is the testimony they gave. 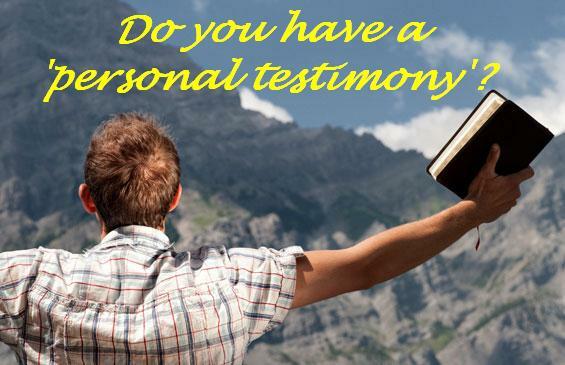 In the modern Christian world, the term testimony has come to mean a whole different thing. Instead, it has become my story about my life and how I have become a better person through Jesus. It is no longer just a testimony, but a personal testimony. Here are the four steps (as I remember them) one must take to prepare a personal testimony. Step one: Think back to before you were a Christian. Think about the bad things you did and how sinful you were. Don’t hold back here. Use some humility and point out the dirtiest deeds you have done. That way people can relate to you. Step two: Think about when you became a Christian. Where were you? Who shared the gospel with you? What was the argument that convinced you? Maybe someone is wrestling with that same issue and you can convince them as well. Share about how you humbled yourself and prayed the sinner’s prayer. Step three: Think about how Jesus has changed your life since your conversion. Make sure you don’t make yourself look perfect. Even Christians still sin at times. But tell how Jesus has brought you out of some type of addiction or sin struggle. Make sure your life now seems better than it was before. This is the selling point. Step four: Ask your audience if they would like to have Jesus change their lives like He changed yours. Lead the ones that do in the sinner's prayer. This is pretty much how I was trained to share my testimony. As I was typing this from my memory, I wondered if I was being a little too harsh. So I googled “how to share your testimony” and clicked the first link. Sad to say, I think my memory is pretty accurate. When did this become the norm? Why are we so bent in on ourselves, that we miss the point of what a Christian testimony really is? Don’t get me wrong, I’ve heard some amazing stories over the years and have seen God change people’s hearts. But is this the message we should be focused on? What if a Christian doesn’t see much change in their life after conversion? What if their circumstances get worse? Think of the newly converted Christian in the Middle East that now has to go into hiding because he has committed the Muslim sin of shirk and has a death sentence placed upon his head? How did his life get better? Personal testimonies have become narcissistic in nature. Yes, we try to give God the credit, but is that just a facade? The story we are sharing is all about "me". I've seen testimonies become a point of pride among Christians. Many churches nowadays have a personal testimony time during their service, and these people are hand picked based on either how exciting the story is or if it is relevant to the sermon topic that week. I’ve heard it argued before that “personal testimonies” are powerful because nobody can argue against them. They are your story. Who can deny your experience? True, but they are also very subjective and anything that is subjective is difficult to prove. The skeptic will just brush your story aside and say it wasn’t Jesus who changed you, but the psychology of religion or self-determination. Plus, Christians aren't the only ones who have overcome addictions and sinful lifestyles. You see this happen in other religions as well. Are we to give their testimonies as much credence as Christian ones? But what about the Samaritan woman at the well? (John 4:39) Didn’t she give her personal testimony? Look closely at that passage. Her testimony was about Jesus and what He did. It just so happened that He told her everything that she did. But what about Paul? He was always sharing his conversion story. (Acts 22 & 26, see links above) Paul is a unique situation. His conversion story is an eyewitness account to the resurrected Jesus. (If Jesus has physically shown up to convert you, then by all means go for it.) If you look at what Paul was focusing his testimony on, it is the fact that Jesus is alive and is God over creation. So is there no place for our story? Do we just focus on the stories from the Bible and not on anything from our own lives? Should I just rip up and throw away that testimony I wrote up at my churches evangelistic workshop? The answer to these questions is a very big YES and a tiny no. Our main focus should be on the Bible. It is God’s Word and it is powerful. It is the most effective tool we’ve got for bringing the message of salvation to an unbelieving world. Plus, it is objective and can’t be easily thrown away by skeptics. Our life stories can still be shared, but in context with the ministry we are doing. If you have a powerful story about overcoming a drug addiction, it can be encouraging and hopeful for another addict to hear. But remember, it’s not the gospel. The gospel is about what Christ has done. He needs to be the center of attention. When we testify, we testify about Him. So how do we do it? What is the correct approach? If you want to share about your life, that is fine, but it really should only be a small focus. The majority of our speech should be directing people to Jesus; who He is, what He he did on the cross, how He rose from the dead and now reigns from heaven and how He will someday return to judge the world. Truth be told, my story is boring compared to all of that anyways. Jesus is the real selling point.